So I got this new decoration for my house and put it in my living room, even though my mom thinks I should relegate all bourbon to the basement. I have one glaring blank wall, so I stuck it there. I think it ties the room together quite nicely. The hard part is deciding which bottles to put up there. 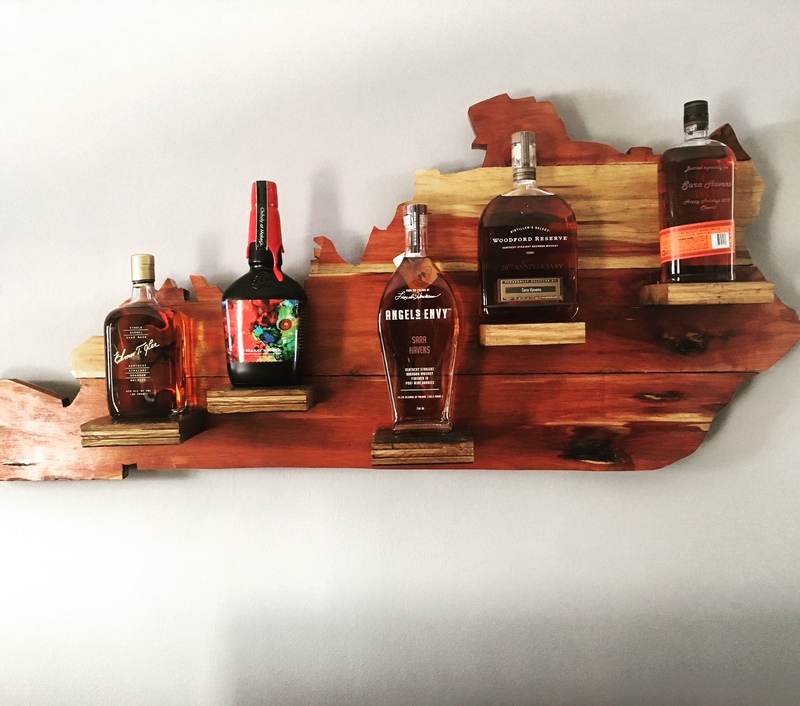 John King of Drunkwood is a true bourbon artist. If you want something similar, take a look at what he makes.